The fair is coming to town in the form of these adorable sewn, stuffed toys by Melly & Me. Sew colourful fairground themed animal toys with this fun and fabulous collection by Australian designer Melly McNeice. 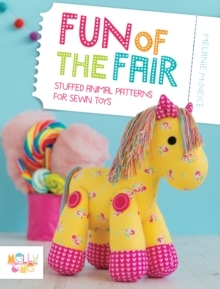 This book brings you all the Fun of the Fair - choose from five adorable fairground animals including a pretty pony, ric rac lion, performing seal, cheeky monkeys and a family of elephants. 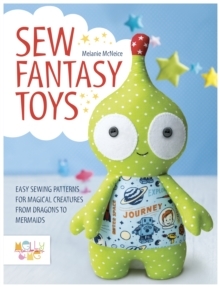 These fun and fabulous designs will have you sewing adorable toys in no time! 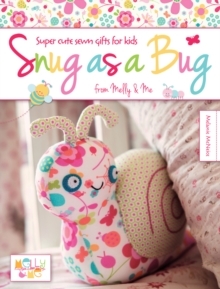 Children and adults alike will love these gorgeous soft toys which make the perfect gift for friends and family. Each of the brightly coloured projects is suitable for sewers of all abilities. 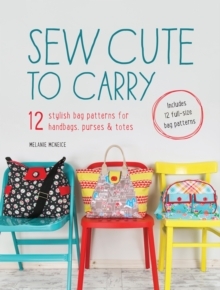 Easy to follow step by step instructions, quirky photography and templates make this an irresistible addition to your sewing collection.